At one point, from the 13th to the 15th centuries the Crusades made a permanent mark on the landscape in the Dodecanese Islands of Greece and the shoreline of Turkey. 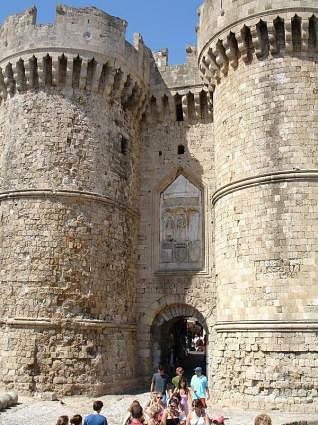 The various order of Knights including the Knights Templar and the Knights Hospitallier, built a large castle with a walled complex on the Greek Island of Rhodes and an outpost castle and walled complex in Turkey in Bodrum, in order to control the waters between these two locations, which was a very important trading route. Believing that they were spreading a greater good, the Knights built these complexes, which still stand today as a testament to the belief in Christianity as the one religion for all. 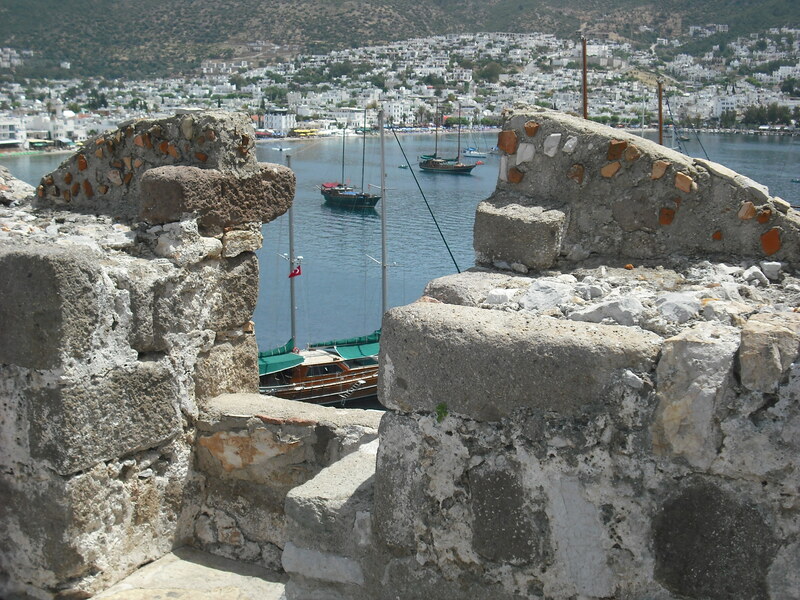 Today on charter between Rhodes and Bodrum, there is a castle complex to explore at either end of this itinerary. The Medieval walled city, called Old Town, surrounding the Palace of the Grand Master of the Knights, is today a UNESCO World Heritage Site and one of the largest and best preserved medieval walled cities in Europe. The main harbors in Rhodes where a charter starts are just on the outside of the walled fortifications of Old Town. Before leaving Rhodes, a “must” is to walk over to Old Town, and enter one of the gates in the walls to explore inside this busy city. If you visit during the day, a tour of the Palace of the Grand Master is available. 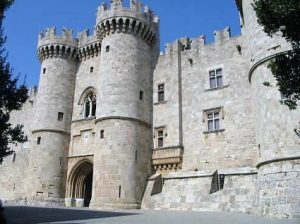 But at anytime when you visit the Old town, it is teeming with activity with many shops selling all types of wares and souvenirs, especially the natural sponges as Rhodes was once famous as a sponge diving island. There are also many Tavernas with outdoor dining along the stone walkways and plazas inside. It is easy to spend 4 or 5 hours inside this medieval maze and enjoy every minute. 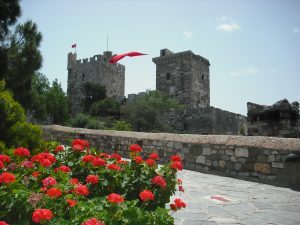 In Bodrum, at the other end of your charter itinerary, stands another castle and walled complex, which was an outpost of the Rhodes Old Town, also housing various Orders of Knights who joined there together for their believed common good of spreading Christianity. Today, the walled complex still stands at the mouth of Bodrum harbor, and is well worth visiting, not only for the architectural history, and history of the Orders of Knights, but also to see the Underwater Archaeology Museum now housed inside the complex. This museum has artifacts and actual ship remains of excavated shipwrecks from ancient civilizations that plied their trade along this important trading route. Inside the museum is, amongst other artifacts, amphoras, glass vessels, coins, and everyday objects belonging to the sailors. This castle and the Underwater Archaeology Museum is another site not to be missed on this charter itinerary.